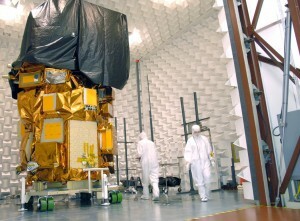 LDCM in the EMI chamber at Orbital in Gilbert, Ariz. Credit: Orbital Sciences Corp.
Aug 21, 2012 • The Landsat Data Continuity Mission (LDCM) is currently undergoing Environmental Testing. For the next two weeks, the LDCM observatory will be in ElectroMagnetic Interference /ElectroMagnetic Compatibility testing. 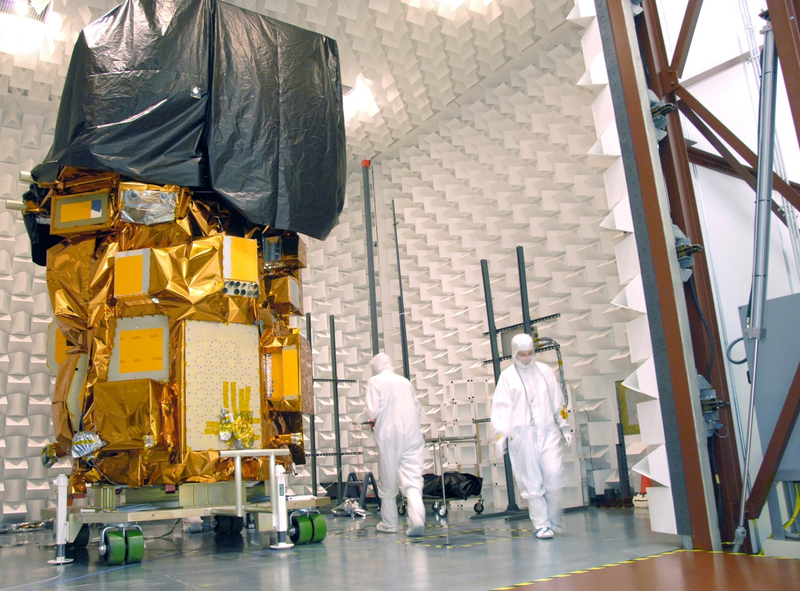 EMI/EMC testing is designed to assure that all observatory components (including the science instruments) can operate together successfully while the observatory is on-orbit in space. After successful EMI/EMC testing, the observatory will be prepared for a series of mechanical tests next month to validate that it can survive the launch environment.